Stainless steel fence. 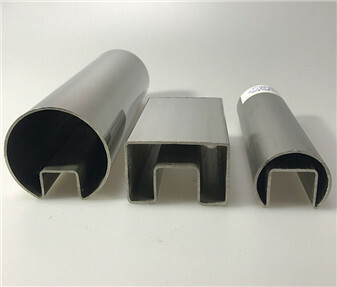 Many public outdoor project fence is made by stainless steel tube. We have taking many domestic and abroad stainless steel fence project. For outdoor and seaside project, we recommend customer to use stainless steel 304 or 316L, for anti-rust. We can offer professional advise if customer can let us know their detail requirement and budget. 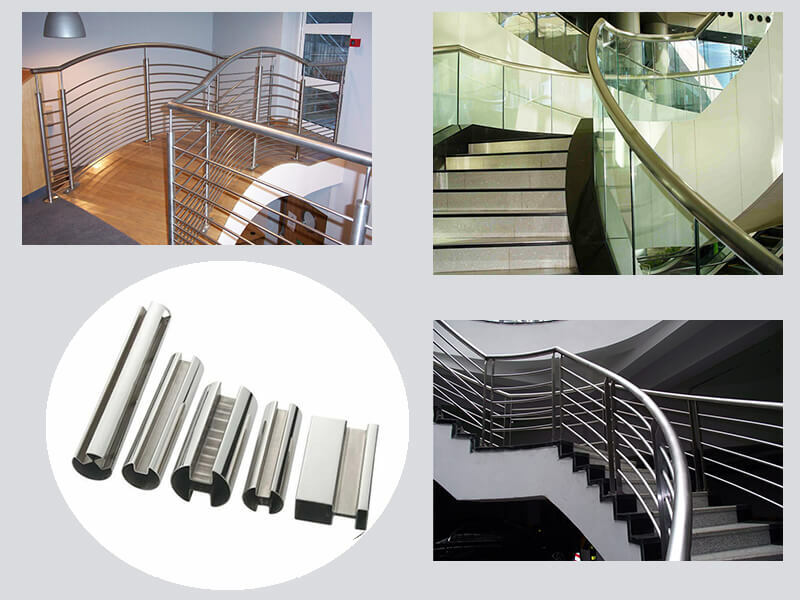 Stainless steel handrail. Stailess steel round tube which diameter is 12.16.19.38.51.63mm is popular for making stainless steel handrail. 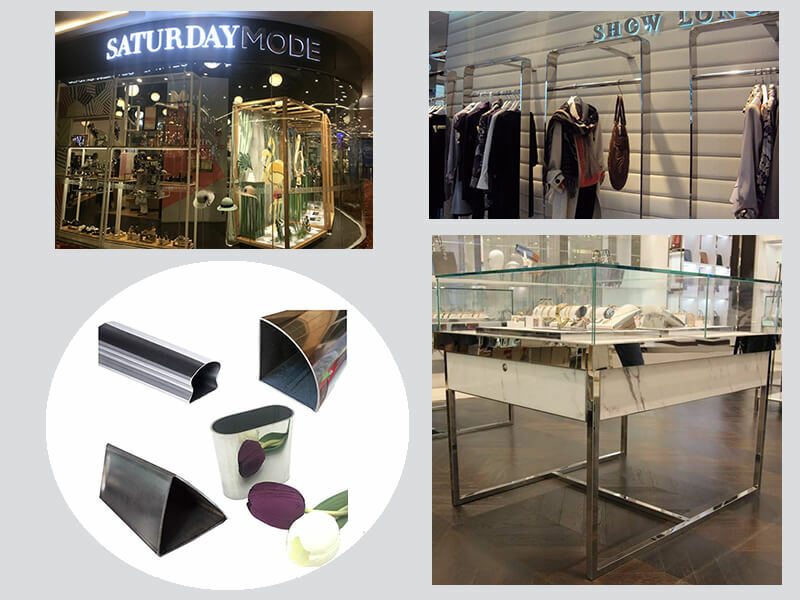 We can supply mirror or matt finish, with color coating available. 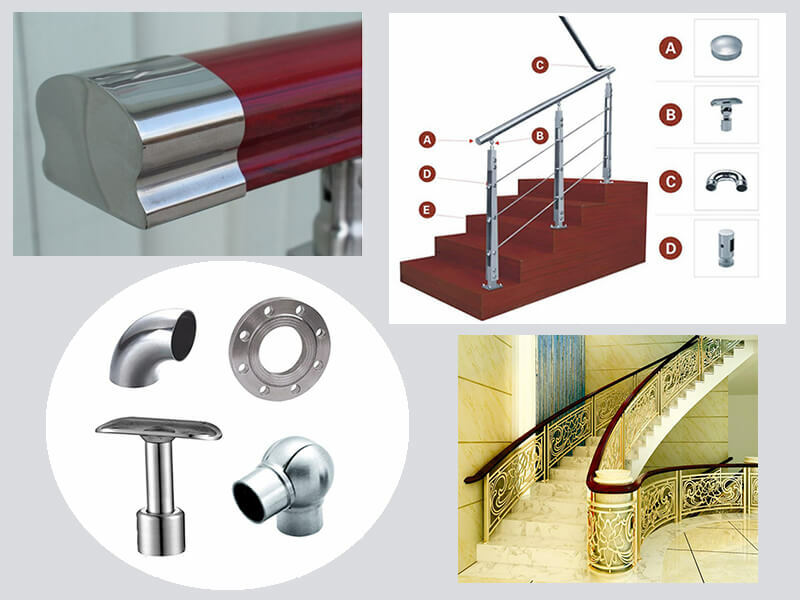 Stainless steel slot pipe is also popular for making handrail with glass. 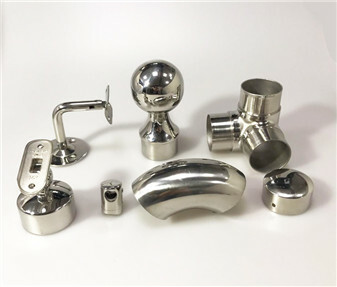 We also supply many stainless steel accessories for stainless steel railing solution. 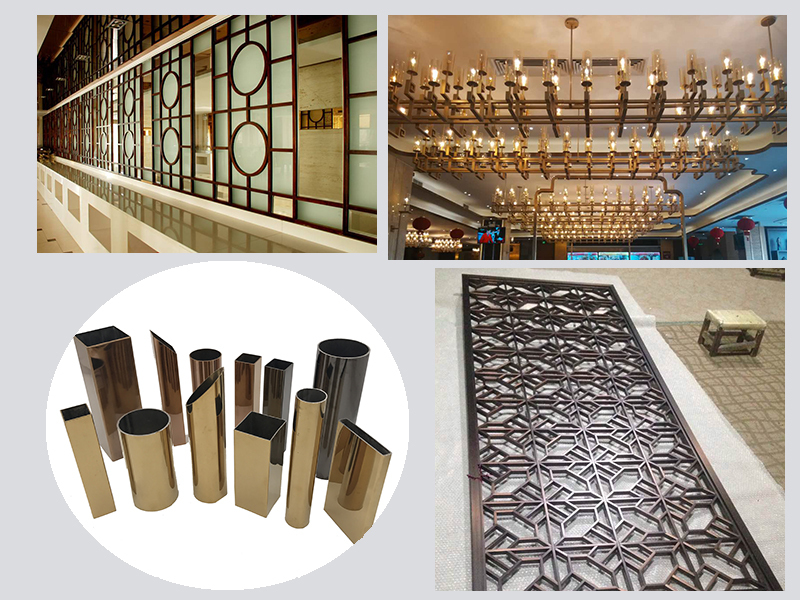 Stainless steel decorative screen. 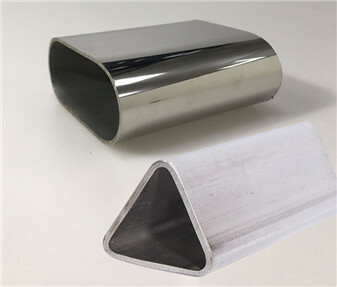 Many beautiful design stainless steel screen is make be stainless steel tube welding. 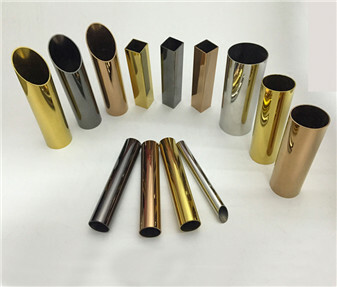 We can produce good price and best quality screen because we have raw material advantage, the tube is made by our factory! Stainless steel showing rack. 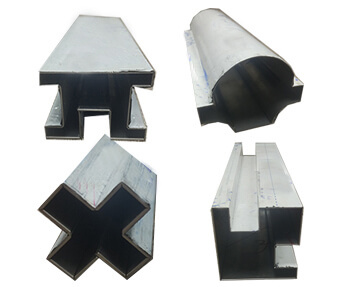 Stainless steel square and retangular tube is widely used for making stainless steel showing rack. We also can make customized showing rack according to customer specification. 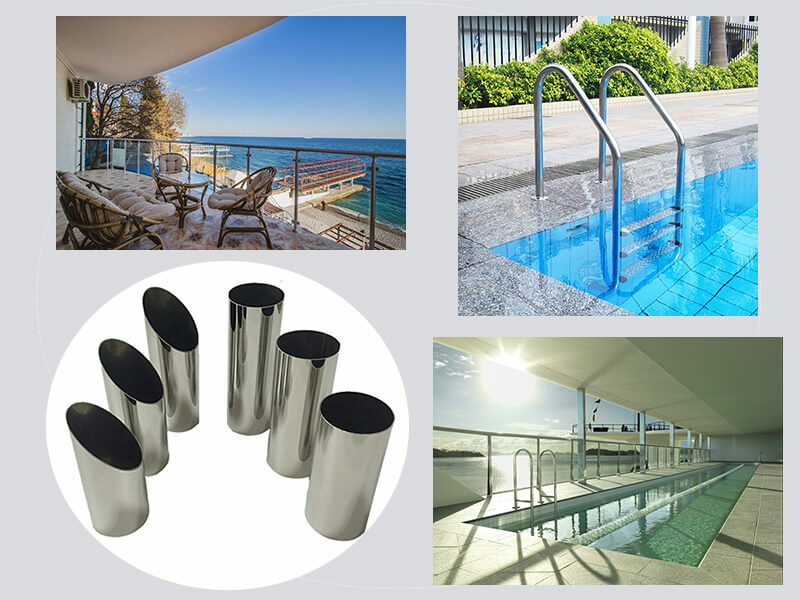 Stainless steel tube for swimming pool handrail , mirror , satin , hairline surface is for your option .Generally , mostly .use round tube , material 304 316 will be advance choose because for anti-rust . Stainless steel furniture. 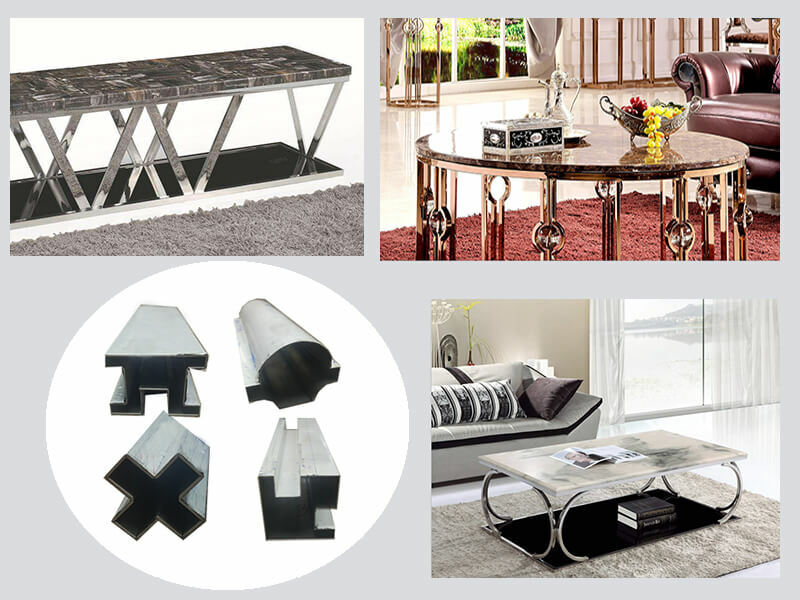 Stainless steel tube is widely used in furniture, such as the legs. Notice: Our stainless steel tubes are welded pipes. Please let us know if stainless steel tube need to be bent to make finished products. 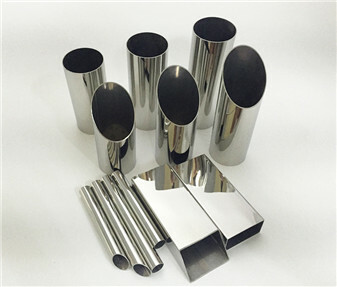 Various stainless steel accessories for decoration or connect tubes match different tube size. 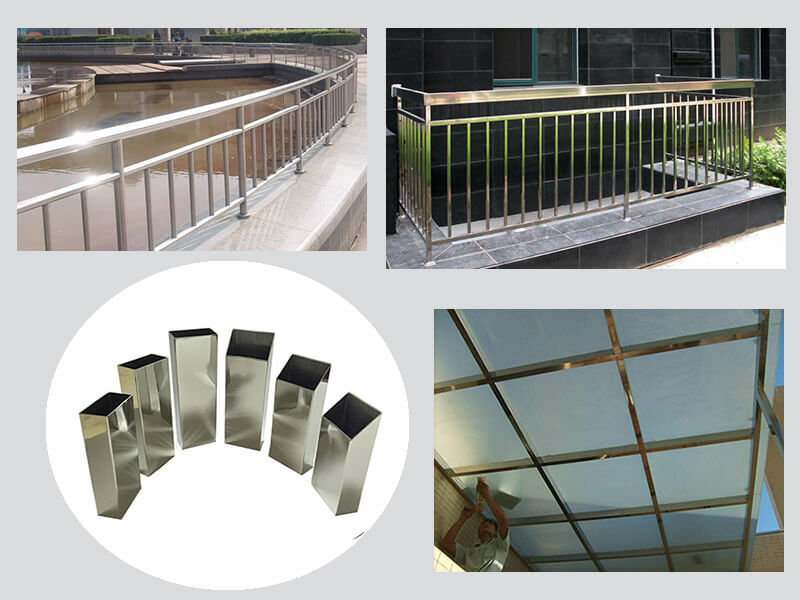 No matter regular or special shape tube, provide perfect stainless steel railing solution . Color are available to meet special require .